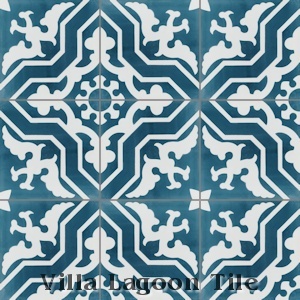 These are 2-color 8" cement tiles, using Blues and White from the South Beach Palette. 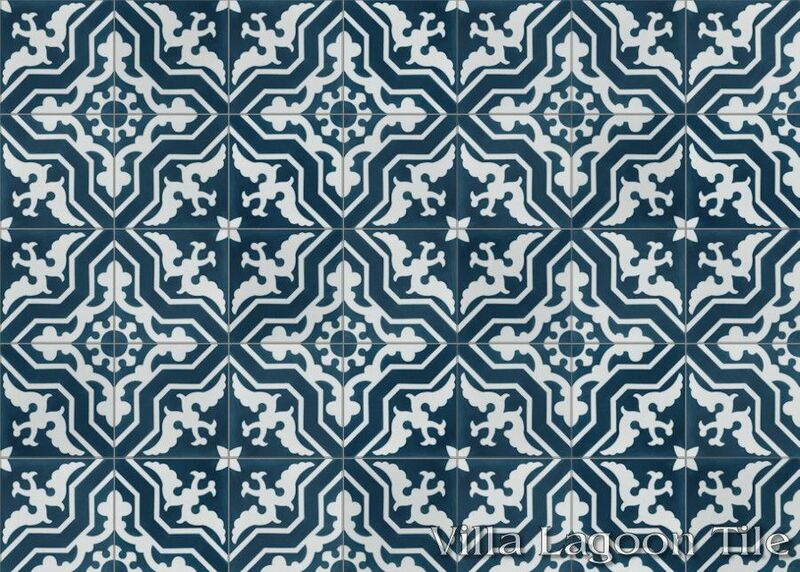 This traditional cement tile pattern we call "Talia" is beautifully balanced. 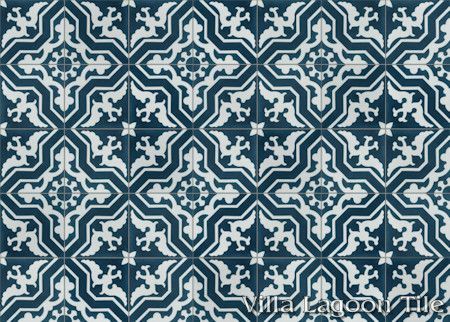 While the core motif is a repeating angular cross and its inverse, the geometric base is offset by floral and organic flourishes. 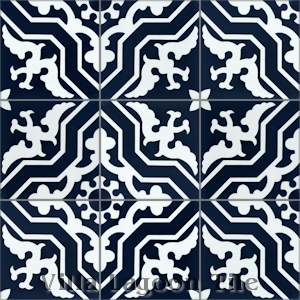 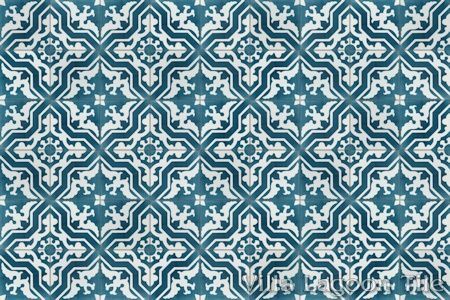 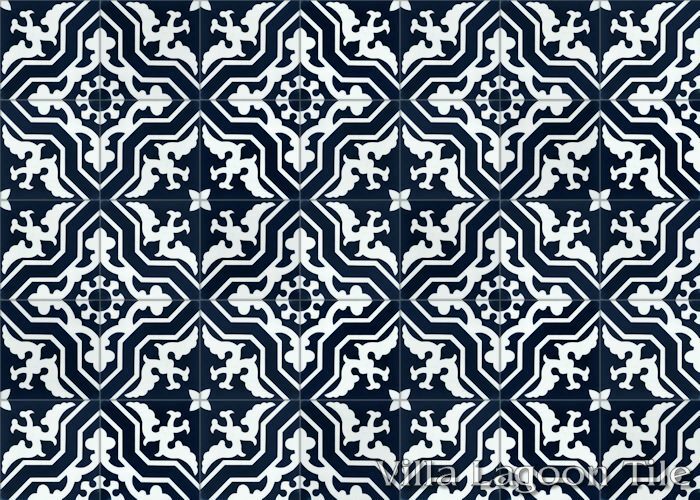 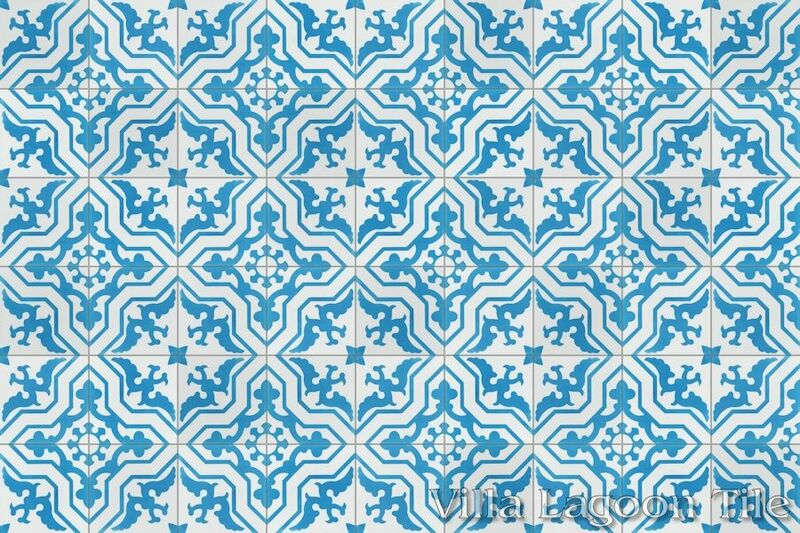 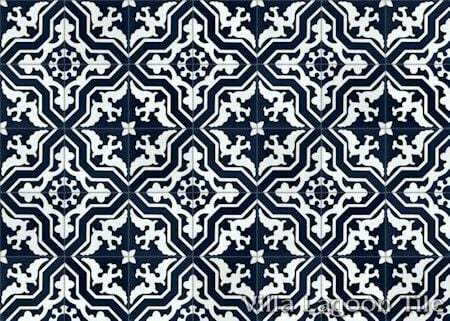 We currently carry three blue and white versions of this cement tile. 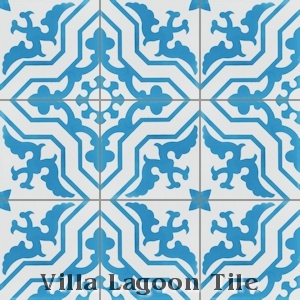 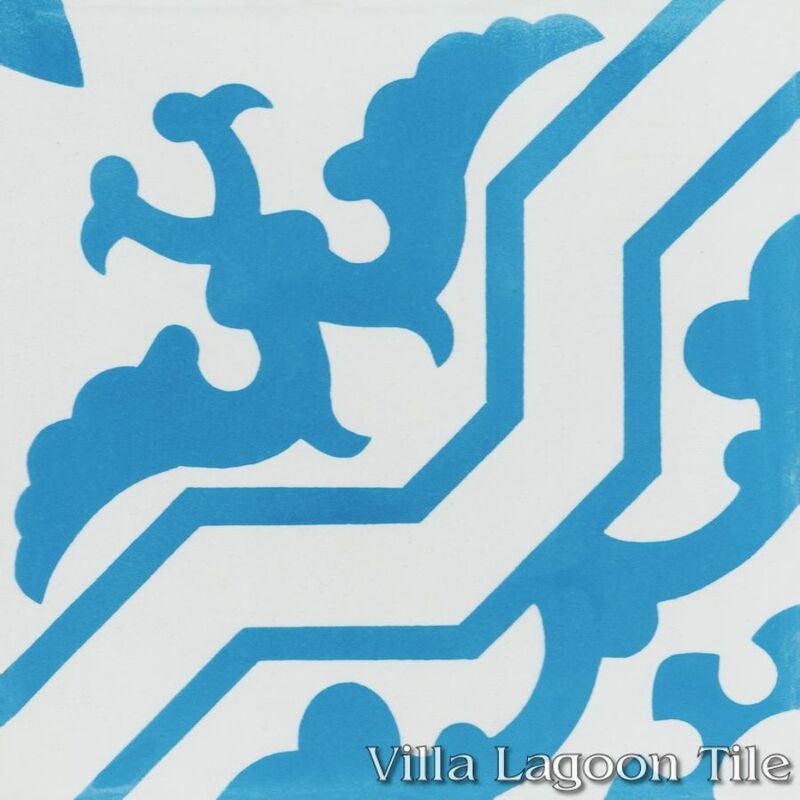 Villa Lagoon Tile's "Talia" cement tile pattern using White and Azure blue from the South Beach Palette. Our client Jordan Reid of Ramshackle Glam transformed her entryway into a truly inviting space using our Talia Azure cement tile. 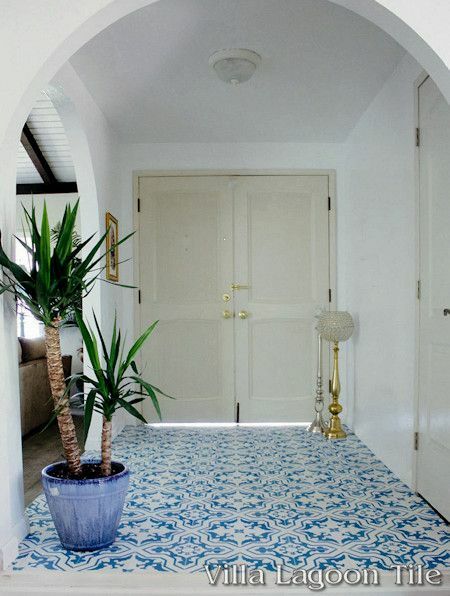 You can even watch the video, and see before and after shots on the decor site Lonny. 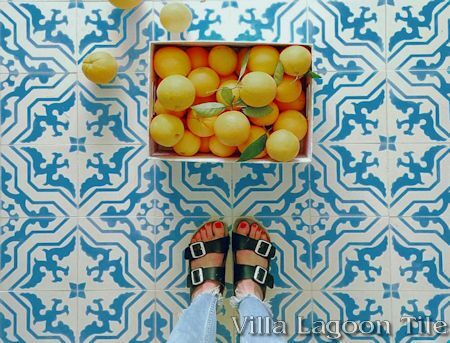 Virtually everyone who steps foot in our house exclaims over the tile, and I’ve found that it’s started to inspire me to go even bolder with the decor choices I’ve been making for the rest of our home. 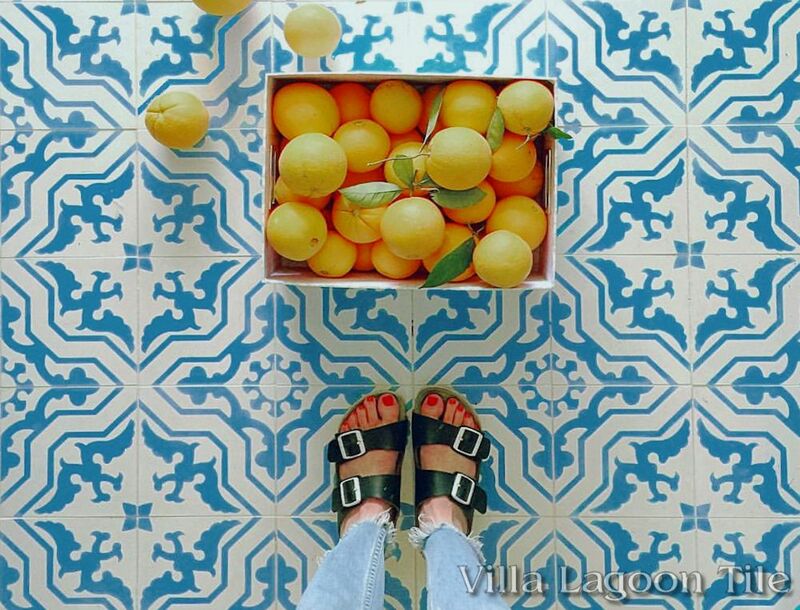 Jordan Reid posted this great Instagram photo of her installation. 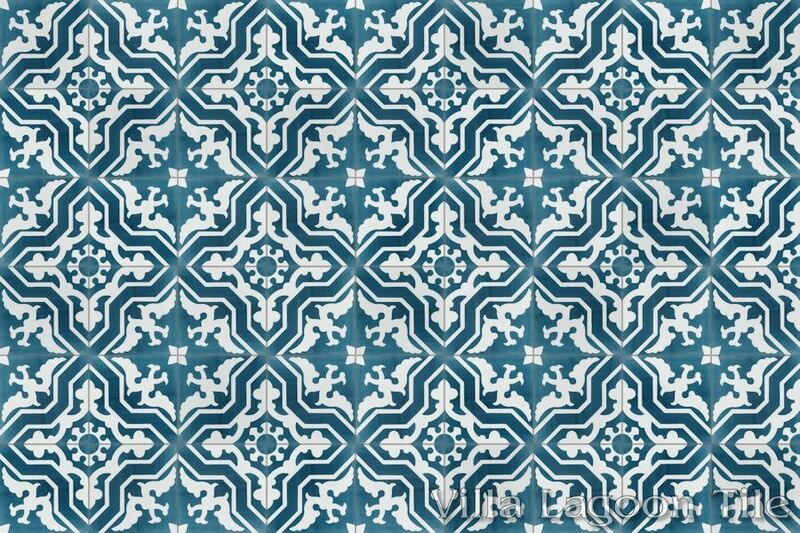 Follow her @ramshackleglam! 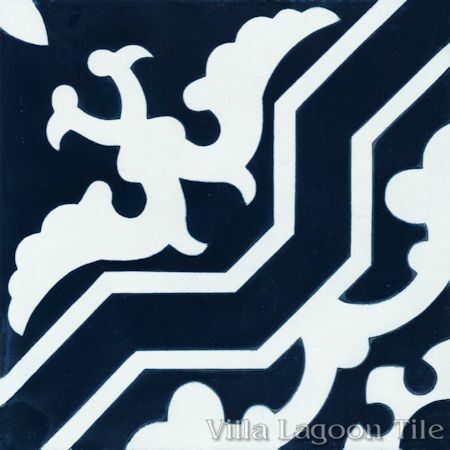 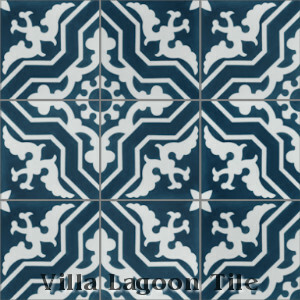 Villa Lagoon Tile's "Talia" cement tile pattern using White and Navy blue from the South Beach Palette. Villa Lagoon Tile's "Talia" cement tile pattern using White and Moonlit Sky blue from the South Beach Palette. 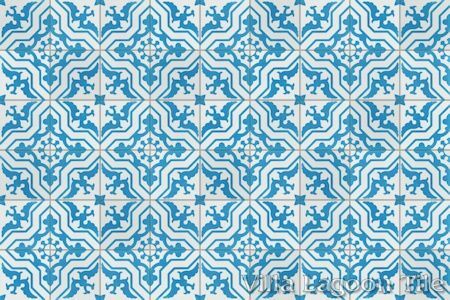 Click Here to see our remaining "Imperfect" lots.